Memorial Day is observed on the last Monday in May. It was originally known as Decoration Day. The purpose of Memorial Day is to honor the men and women who have died while serving in the United States military. One way to do that is to combine a family reunion with Memorial Day. Many people get a three-day weekend on Memorial Day. Public schools often close on the Monday that Memorial Day is celebrated. This means that many of your family members will have those days free, and might be able to attend a family reunion. Part of this reunion should involve visiting the graves of relatives and ancestors who served in the military. 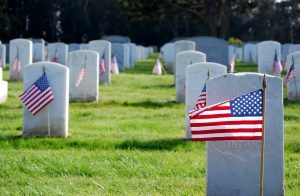 Choose a location for the family reunion that is nearby at least one cemetery where your military family members were laid to rest. Some potential choices include: Arlington National Cemetery, the cemetery in the nearest city, or a very old cemetery that was set up when your town or city was first built. Organize the family reunion to start at the cemetery. 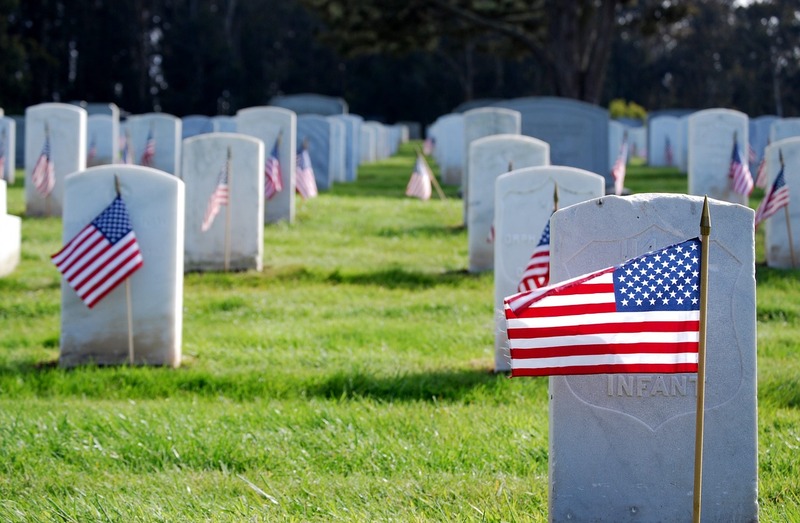 Encourage family members to bring a small flag or some flowers to decorate gravestones with. Suggest that everyone where shoes that are comfortable for walking in. (High heels will sink into grass). Gather outside the cemetery and go together, as a group, to the graves of your ancestors and relatives. You should contact the cemetery ahead of time to make sure that you know the correct locations of where your relatives and ancestors are buried. Find out where people can park. Prepare some notes that you can read while at the cemetery. Tell a short story about the military relatives or ancestors you are there to honor. Give family members time to take photos of the gravestones if they want to. Plan ahead so you can direct family members to a specific location where the rest of the family reunion will take place. It might be best to rent a conference room at a local hotel. There might be a relative who lives nearby the cemetery and who has a large backyard where the reunion can take place. Make sure to provide food and beverages at the family reunion. Part of the family reunion should include discussion about the relatives and ancestors who have served in the military (or are currently serving). You can do this in a variety of ways. Put together a poster with photos of all of the military members. Make a list of their names, branch of the military, and the war they served in. Blow up your family tree to banner size and highlight the military members on it.